The Austin Texas Science Writers, known as ATXSciWri, invites lovers of science and nature writing to join the newest BookPeople book club, ATXSciRead. The first meeting is Sunday, October 7, at 4:00 pm in the café area on the first floor. BookPeople is pleased to have this exciting new group among our offerings. 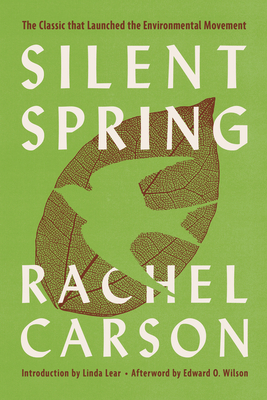 October’s book choice is Silent Spring, (Mariner Press, $15.99), “the classic that launched the environmental movement” when it was published over 50 years ago in September of 1962. The paperback is available in store at BookPeople on the book club display on the first floor near the current events section (any bookseller will be happy to direct you to it), or on our website at the link above. The group chose this particular title in celebration of Ada Lovelace Day (October 9) and women pioneers of science. ATXSciRead is free and open to the public; it meets the first Sunday of every month at 4:00 pm on the third floor of the store, with the exception of the first meeting as mentioned above due to a large signing event. Book club participants receive a 10% discount on the purchase of the book club title each month. Each discussion lasts about an hour, with more opportunities for ATXSciWri members to continue discussion and further study online. According to Laurie Duncan, cofounder of ATXSciWri, the group plans to “revisit the classics and explore cutting-edge titles, from neuroscience to natural history, astrophysics to animal behavior.” These will be non-fiction works, though the group might venture into fiction written with science and nature as a strong theme. 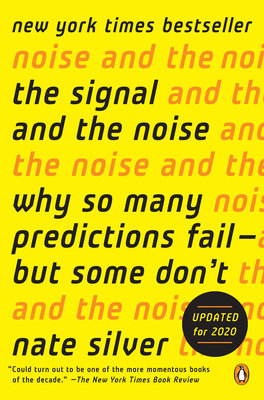 November’s title is the New York Times bestseller, The Signal and the Noise: Why So Many Predictions Fail—But Some Don’t, by Nate Silver. Austin Texas Science Writers (@ATXSciWri) “was founded in December 2017 to address the growing need for a cohesive group to develop local expertise and interest in science and writing. While Central Texas is a research hub, few institutional resources are dedicated to science writing. ATXSciWri is working to change that.” These scholars, teachers, and writers are committed to their mission of “promoting accurate, accessible, and ethical science writing in Texas.” Check out the group’s website at www.atxsciwri.org for more information. Questions? Please contact Eileen McGinnis of ATXSciWri at eileen_mcginness@hotmail.com or Christine Havens, BookPeople liasion, at christinehavens3@gmail.com.